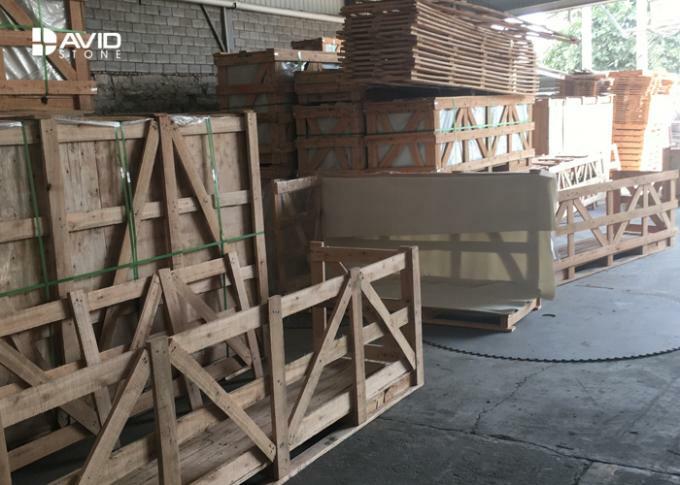 DAVID STONE supplies prefab granite counter tops and vanity tops in various popular granite materials, like Indian Rosa Blanca granite, Black Galaxy granite,White Galaxy granite, Indian black granite and other indian series granite, and Giallo Fiorito granite and other granite materials of Brazilian series, also Chinese Granite inclduing G682, Yellow Skin white granite, G664, G687,Spray white granite, Swan White granite etc.Also,we fabricate marble and artificial quartz solid surface contertops and vanity tops. 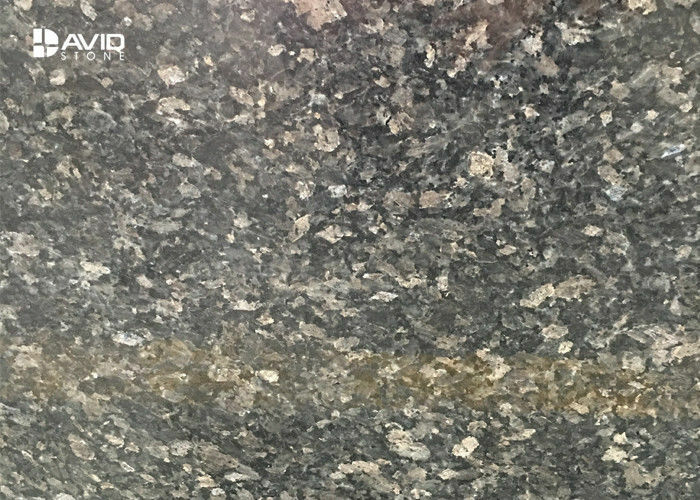 How to produce a beautiful granite countertop? step 1, select a fine block without cracks and holes. step 2, cut it into slabs using a disc cutting machine. 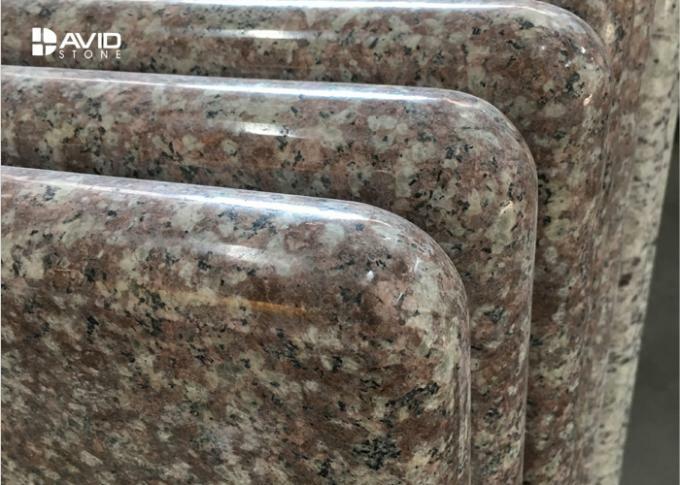 step 3, polish the slabs under a auto polishing machine. step 4,cut the slabs into needed sizes of countertops. step 6, if need lamination,guled and laminated with strips. 4,Adjacent edge verticality tolerance: +/-0.5mm, Precise Cutting by infrared-ray-cut machine. 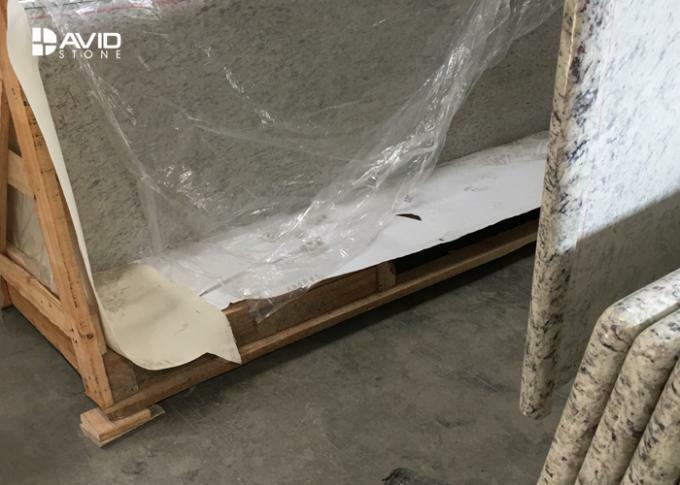 1, where is your processing plant of granite countertops ? Yes, you can, please kindly noted that sample is free, but customers should pay for the curior.